5 PM: Part of White Center is affected by a huge Seattle City Light outage – here’s the full map. SCL says a crash on East Marginal Way near Boeing Field is to blame – in all, more than 16,000 homes and businesses are without power. 6:19 PM: All but a little over 300 of the affected customers are back on. KIRO-TV coverage at the scene showed multiple poles had fallen and speculated some kind of wind had brought them down. 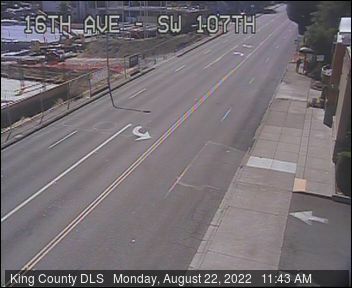 Whatever the case, it appears a stretch of East Marginal near the Museum of Flight will be closed for quite some time.